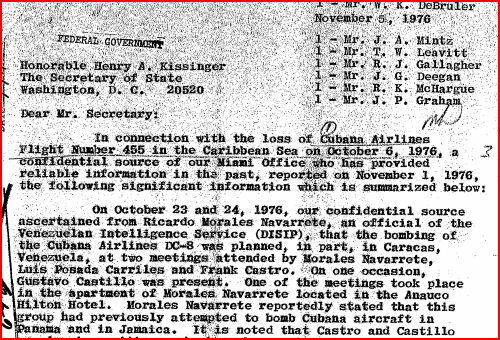 It has been 38 years since the CIA terror bombing of Cubana Flight 455 on October 6, 2975 just a few minutes after takeoff from Barbados Seawell Airport. The ex-Air Canada Douglas DC8 was crippled and set on fire by the first bomb, but the second bomb in one of the washrooms brought it down in the Atlantic – killing all 78 people on board. What did the CIA and US Secretary of State Henry Kissinger know about it? Lots, according to recently released documents. The UK’s first Muslim life peer has offered a reward of 10 million pounds for the kidnapping of American President Barrack Obama, and former US President George ‘Dubya’ Bush. LeT is designated a terror group by just about everybody including the US and the UK. Remember the Mubai terror attack where Muslim terrorists gunned down men, women and children, and mutilated a pregnant Jewish woman? Yes, that was LeT at work. If Lord Nazir Ahmed did say what he is alleged to have said, clearly he should be removed as a life peer and prosecuted to the full extent of the law. Muslim yells “allahu akbar” as he shoots up The Pentagon. News media says motive unclear. American Muslim puts on a facemask, drives along with Muslim prayers playing on the car stereo and shoots his 9mm pistol at US military facilities while yelling “allahu akbar”. Why, whatever could be his motivation? What a mystery! 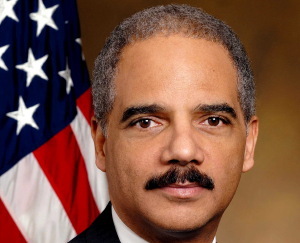 He was arrested as he was doing his sixth attack, this time at Arlington National Cemetery. Found in his possessions was a video he’d made to inspire his Jihadist brothers. Pamela Geller expresses what she thinks about the Washington Post, calling them the “enemedia”. Enemedia: an accurate term. Where is the outcry from the “moderate” and “tolerant” Muslims about the annual Christmas slaughter? Christmas is a special time for violent Muslims. It’s the same every year as Muslims murder dozens and sometimes hundreds of Christians at Christmas. Christians around the world have to be extra vigilant at Christmas time. Remember the underwear bomber taken down by the passengers over Chicago two years ago? That was a Christmas Day flight, and the day was chosen by violent Muslims for a reason. 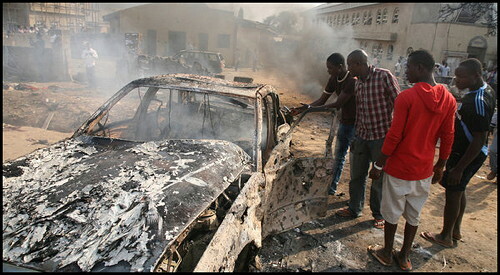 Nigeria: Church bombs massacre. Violent Muslims exploded bombs at five churches on Christmas Eve and Christmas Day. Over 100 people were killed in Nigeria in the bombings and other Christmas attacks. Uganda: Christmas Eve service Muslim acid attack blinds pastor. 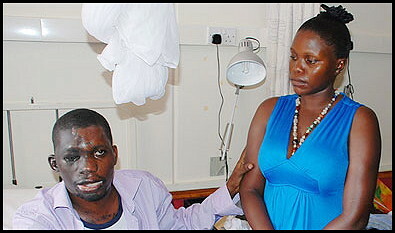 Christian Pastor (and former Muslim) Umar Mulinde of Gospel Life Church was blinded and disfigured in an acid attack. His assailants shouted “Allah Akbar” as they ran from the scene. Indonesia: Christmas service was banned at church after Muslim authorities cancelled the permit to worship. Threats from violent Muslims against all Christian services. The congregation of the embattled GKI Yasmin church in Bogor was forced to move its Christmas prayers to a member’s house after Islamic groups assembled at the disputed site and threatened to challenge the sermon on Sunday. Islamic fundamentalist groups in Parung, Bogor regency, West Java province, are threatening and “warning” the local Catholic community, victims of attacks in anticipation of the holiday season. Sri Lanka Christmas honour killing: Muslim father beat his 17-year-old daughter to death on Christmas Eve for dating a Christian. Iraq: Two thirds of the country’s remaining 1.4 million Christians have fled. Merry Christmas infidels! Iraq: Sniper shoots Christian to death outside his home on Christmas Day. Merry Christmas, Infidel! Iran: Tolerant Muslim authorities raid Christmas celebration at Christian church, and arrest everyone including children. Texas: Honour killing 58 year old Muslim man dressed as Santa Claus kills his entire family as they were sharing Christmas presents. His daughter was dating a “non-Muslim” and his family had adopted infidel ways. Gaza: Hamas cancels Christmas for Christians. Christians obey because they remember what happened to the chap who owned the only Bible store in Gaza. Malaysia: Muslim authorities earlier raided a Christian church to show who is boss. Christian churches were warned to “exercise caution”… or what? Or… there will be a repeat of Christmas 2010 when violent Muslims bombed eight churches. This Christmas, Malaysian Christians are being as quiet as church mice. Fear does that. Saudi Arabia: Saudis cut off Nigerian man’s hand for theft on Christmas Eve. No, Abdulsamad Ismail Abdullah Hawsawe isn’t a Christian – but I thought I’d mention it to remind us all that, as always, the first victims of Islam are Muslims. Iran: Government announces on Christmas Day that a woman convicted of adultery will be hanged or stoned to death. Barbados: Muslim teenagers at Barbados Al-Falah Muslim School are taught that stoning, beating and amputations are okay. We wonder what else they are taught about Christians and Christmas, but the school has never revealed their text books and other materials to either the public or Barbados Ministry of Education. Breaking: Islamic terrorists and endemic corruption push Delhi Commonwealth Games to edge of disaster. Six killed, dozens injured in collapse of new bridge near stadium. Highlights shoddy construction throughout venues, residences. Tourists attacked by Muslim terrorists, Athletes’ residences “unsafe, unfit for human habitation”, no show visitors. Should Barbados pull our team? Less than a fortnight to go before the best of our Barbadian athletes compete in the Commonwealth Games in India – but no one is sure if they will have fit accommodations, if the venue will be properly secured or whether empty seats in the spectators’ gallery will have to be filled with locals grabbed off the street. According to numerous stories in the world news media, all these issues and more are creating a perfect storm that threatens the very existence of the Delhi games. Tens of thousands of people are expected to attend a massive protest this September 11th at Ground Zero. The issue is the proposed construction of an 11 story mega-mosque within steps of the hole in the ground that used to be the World Trade Centre.